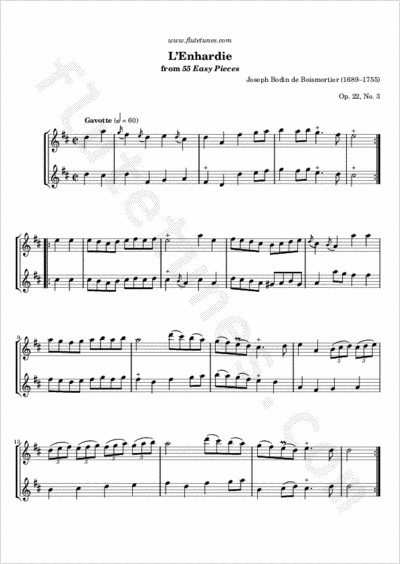 Today's piece is a lively gavotte in D major, duet No. 3 from Joseph Bodin de Boismortier's 55 Easy Pieces, Op. 22. Its title, “L'Enhardie”, might be translated from French as “the bold, audacious one”.